The National Museum of the American Indian is part of the Smithsonian Institution and is committed to advancing knowledge and understanding of the Native cultures of the Western Hemisphere—past, present, and future—through partnership with Native people and others. The museum works to support the continuance of culture, traditional values, and transitions in contemporary Native life. It has three facilities: the National Museum of the American Indian on the National Mall in Washington, D.C., which opened on September 21, 2004, on Fourth Street and Independence Avenue, Southwest; the George Gustav Heye Center, a permanent museum in New York City; and the Cultural Resources Center, a research and collections facility in Suitland, Maryland. The foundations for the present collections were first assembled in the former Museum of the American Indian in New York City, which was established in 1916, and which became part of the Smithsonian in 1990. The National Museum of the American Indian Act (NMAI) was enacted on November 28, 1989, as Public Law 101-185. The law established the National Museum of the American Indian as part of the Smithsonian Institution. The law also required the Secretary of the Smithsonian to prepare an inventory of all Indian and Native Hawaiian human remains and funerary objects in Smithsonian collections, as well as expeditiously return these items upon the request of culturally affiliated federally recognized Indian tribes and Native Hawaiian organizations. Native Hawaiians are the Aboriginal Polynesian people of the Hawaiian Islands or their descendants. Native Hawaiians trace their ancestry back to the original Polynesian settlers of Hawaiʻi. In total, 527,000 Americans consider themselves Native Hawaiian. The creation of the museum brought together the collections of the George Gustav Heye Center in New York City, founded in 1922, and the Smithsonian Institution. The George Gustav Heye Center is a branch of the National Museum of the American Indian in Manhattan, New York City. The museum is part of the Smithsonian Institution. The Center features contemporary and historical exhibits of art and artifacts by and about Native Americans. The Heye collection became part of the Smithsonian in June 1990, and represents approximately 85% of the holdings of the NMAI. The Heye Collection was formerly displayed in the Audubon Terrace location, but had long been seeking a new building. The Museum of the American Indian considered options of merging with the Museum of Natural History, accepting a large donation from Ross Perot to be housed in a new museum building to be built in Dallas, or moving to the U.S. Customs House. The Heye Trust included a restriction requiring the collection to be displayed in New York City, and moving the collection to a Museum outside of New York aroused substantial opposition from New York politicians. The current arrangement represented a political compromise between those who wished to keep the Heye Collection in New York, and those who wanted it to be part of the new NMAI in Washington, DC. The NMAI was initially housed in lower Manhattan at the Alexander Hamilton U.S. Custom House, which was refurbished for this purpose and remains an exhibition site; its building on the Mall in Washington, DC opened in 2005. Henry Ross Perot is an American business magnate and former politician. As the founder of the successful Electronic Data Systems corporation, he became a billionaire. He ran an independent presidential campaign in 1992 and a third party campaign in 1996, establishing the Reform Party in the latter election. Both campaigns were among the strongest presidential showings by a third party or independent candidate in U.S. history. 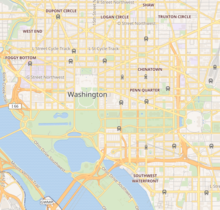 The museum of American Indian has three branches: National Museum of the American Indian in the National Mall (Washington, D.C.), George Gustav Heye Center in New York City, and the Cultural Resources Center in Maryland. The site on the National Mall opened in September 2004. Fifteen years in the making, it is the first national museum in the country dedicated exclusively to Native Americans. The five-story, 250,000-square-foot (23,000 m2), curvilinear building is clad in a golden-colored Kasota limestone designed to evoke natural rock formations shaped by wind and water over thousands of years. The museum is set in a 4.25 acres (17,200 m2)-site and is surrounded by simulated wetlands. The museum's east-facing entrance, its prism window and its 120-foot (37 m) high space for contemporary Native performances are direct results of extensive consultations with Native peoples. Similar to the Heye Center in Lower Manhattan, the museum offers a range of exhibitions, film and video screenings, school group programs, public programs and living culture presentations throughout the year. The museum's project architects are Jones & Jones Architects and Landscape Architects Ltd. of Seattle and SmithGroup of Washington, D.C., in association with Lou Weller (Caddo), the Native American Design Collaborative, and Polshek Partnership Architects of New York City; Ramona Sakiestewa (Hopi) and Donna House (Navajo/Oneida) also served as design consultants. The landscape architects are Jones & Jones Architects and Landscape Architects Ltd. of Seattle and EDAW, Inc., of Alexandria, Virginia. In general, Native Americans have filled the leadership roles in the design and operation of the museum and have aimed at creating a different atmosphere and experience from museums of European and Euro-American culture. Donna E. House, the Navajo and Oneida botanist who supervised the landscaping, has said, "The landscape flows into the building, and the environment is who we are. We are the trees, we are the rocks, we are the water. And that had to be part of the museum." This theme of organic flow is reflected by the interior of the museum, whose walls are mostly curving surfaces, with almost no sharp corners. The Mitsitam Native Foods Cafe is divided into Native regional sections such as the Northern Woodlands, South America, the Northwest Coast, Meso-America, and the Great Plains; The museum has published a Mitisam Cafe Cookbook. The only Native American groups not represented in the café are the south eastern tribes such as the Choctaw, Chickasaw, Cherokee and Seminole, many of which supported the United States throughout the tribes' histories. George Gustav Heye (1874–1957) traveled throughout North and South America collecting native objects. His collection was assembled over 54 years, beginning in 1903. He started the Museum of the American Indian and his Heye Foundation in 1916. The Heye Foundation's Museum of the American Indian opened to the public on Audubon Terrace in New York City in 1922. The museum at Audubon Terrace closed in 1994 and part of the collection is now housed at The Museum's George Gustav Heye Center, that occupies two floors of the Alexander Hamilton U.S. Custom House in Lower Manhattan. The Beaux Arts-style building, designed by architect Cass Gilbert, was completed in 1907. It is a designated National Historic Landmark and a New York City landmark. The center's exhibition and public access areas total about 20,000 square feet (2,000 m2). The Heye Center offers a range of exhibitions, film and video screenings, school group programs and living culture presentations throughout the year. The National Museum of the American Indian is home to the collection of the former Museum of the American Indian, Heye Foundation. The collection includes more than 800,000 objects, as well as a photographic archive of 125,000 images. It is divided into the following areas: Amazon; Andes; Arctic/Subarctic; California/Great Basin; Contemporary Art; Mesoamerican/Caribbean; Northwest Coast; Patagonia; Plains/Plateau; Woodlands. The collection, which became part of the Smithsonian in June 1990, was assembled by George Gustav Heye (1874–1957) during a 54-year period, beginning in 1903. He traveled throughout North and South America collecting Native objects. Heye used his collection to found New York's Museum of the American Indian, Heye Foundation and directed it until his death in 1957. The Heye Foundation's Museum of the American Indian opened to the public in New York City in 1922. The museum has programs in which Native American scholars and artists can view NMAI's collections to enhance their own research and artwork. The National Museum of the American Indian has been criticized occasionally for a perceived disjointedness of its exhibits. Two Washington Post reviews on the museum were hostile at the representation of the American Indian. Two writers, Fisher and Richard, expressed "irritation and frustration at the cognitive dissonance they experienced once inside the museum". Fisher expected the displays that depicted the clash between foreign colonists and the native people. The exhibit lacked a trace of Indians' evolution from centuries of life on this land, and gave little information as to the history of their survival. He concludes, "The museum feels like a trade show in which each group of Indians gets space to sell its founding myth and favorite anecdotes of survival. Each room is a sales booth of its own, separate, out of context, gathered in a museum that adds to the balkanization of a society that seems ever more ashamed of the unity and purpose that sustained it over two centuries". Richards, who also had a similar assessment of the NMAI, begins his criticism by observing that he found the exhibits to be confusing and unclearly marked. To him, the exhibits were full with a mixture of "totem poles and T-shirts, headdresses and masks, toys and woven baskets, projectile points and gym shoes". According to him, the items were presented in a hodgepodge that displayed history in an incoherent demonstration. Live Earth concert, Washington, D.C. 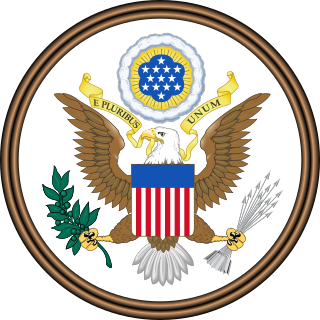 The Native American Graves Protection and Repatriation Act (NAGPRA), Pub. L. 101-601, 25 U.S.C. 3001 et seq., 104 Stat. 3048, is a United States federal law enacted on 16 November 1990. 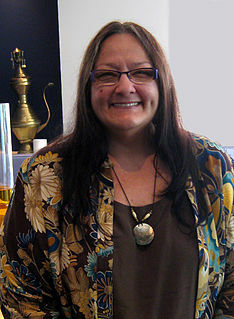 Suzan Shown Harjo is an advocate for American Indian rights. She is a poet, writer, lecturer, curator, and policy advocate, who has helped Native peoples recover more than one million acres (4,000 km²) of tribal lands. After co-producing the first Indian news show in the nation for WBAI radio while living in New York City, and producing other shows and theater, in 1974 she moved to Washington, DC, to work on national policy issues. She served as Congressional liaison for Indian affairs in the President Jimmy Carter administration and later as president of the National Council of American Indians. According to Zuni mythology, Ahayu'da are the twin gods of war. They are also physical representations endowed with certain spiritual powers. Mario Martinez is a Native American contemporary abstract painter. He is a member of the Pascua Yaqui Tribe from New Penjamo, the smallest of six Yaqui settlements, in Arizona. He currently lives in New York City. Frederick Webb Hodge was an editor, anthropologist, archaeologist, and historian. Edward Harvey Davis (1862-1951) was a field collector for the Museum of the American Indian in New York City who acquired many Indian artifacts from various tribes in San Diego county and northwestern Mexico for that museum. Julia Florence Parker is a Coast Miwok-Kashaya Pomo basket weaver. Museum anthropology is a domain of scholarship and professional practice in the discipline of anthropology. Frank Day (Ly-dam-lilly) was a Native American artist from California. Pablita Abeyta was a Navajo sculptor and activist from New Mexico, United States. She was the oldest daughter of artist Narciso Abeyta. Elizabeth Ann Sackler is an American public historian and arts activist. She is the founder of the Elizabeth A. Sackler Center for Feminist Art at the Brooklyn Museum. Carrie Cornplanter (1887–1918) was a Native American artist of the Seneca tribe. Johnpaul Jones is an American architect and landscape architect, partner in Seattle-based architecture firm Jones & Jones Architects and Landscape Architects, best known for innovative habitat immersion method design of zoo exhibits. A Native American himself, he has also executed many projects for various Native American organizations, and was lead design consultant for the Smithsonian Institution's National Museum of the American Indian, completed 2004 in Washington, D.C. He was the first architect ever to receive the National Humanities Medal. C. Maxx Stevens is an installation artist from the Seminole/Mvskoke Nation of Oklahoma. ↑ "Visitor Statistics". Smithsonian Newsdesk. Archived from the original on February 9, 2018. Retrieved March 23, 2018. ↑ "Mission Statement | National Museum of the American Indian". nmai.si.edu. Archived from the original on July 5, 2017. Retrieved July 8, 2017. ↑ "National Museum of the American Indian Act, Public Law 101-185" (PDF). 101st Congress. November 28, 1989. Archived (PDF) from the original on May 18, 2012. Retrieved May 17, 2012. ↑ Mittal, Anu (May 25, 2011). "Much Work Still Needed to Identify and Repatriate Indian Human Remains and Objects". U.S. Government Accountability Office. Archived from the original on January 6, 2012. Retrieved May 17, 2012. ↑ "404 Page Not Found". www.cement.org. Archived from the original on October 30, 2017. Retrieved May 5, 2018. ↑ Francis Hayden, "By the People", Smithsonian , September 2004, pp. 50–57. ↑ Hetzler, Richard. The Mitsitam Cafe cookbook : recipes from the Smithsonian National Museum of the American Indian. Washington, D.C.: Smithsonian National Museum of the American Indian. ISBN 978-1-55591-747-0. ↑ Lonteree, Amy; Cobb, Amanda; Ira Jacknis (November 1, 2008). The National Museum of the American Indian: Critical Conversations. University of Nebraska Press. pp. 3–31. ↑ "NMNH – Repatriation Office – Frequently Asked Questions". Smithsonian Institution. Archived from the original on May 2, 2007. Retrieved May 4, 2007. ↑ Kreps, Christina Faye (2003). Liberating Culture: Cross-Cultural Perspectives on Museums, Curation, and Heritage Preservation. Psychology Press. p. 103. Retrieved May 23, 2012. 1 2 3 McGlone, Peggy (October 3, 2014). "National Museum of the American Indian uses a new exhibit to spread its message". Washington Post. Archived from the original on October 16, 2015. Retrieved October 8, 2015. ↑ Coin, Glenn (August 9, 2012). "400 years later, a legendary Iroquois treaty comes under attack". The Post-Standard. Retrieved 20 August 2013. ↑ Hermkens, Harrie; Noordegraaf, Jan; Sijs, Nicolien van der (2013). "Tawagonshi-verdrag is vervalst (Tawagonshi-treaty has been forged)" (PDF). Vrije Universiteit Amsterdam. Retrieved 2013-03-06. 1 2 Appelbaum, Diana Muir (March 27, 2017). "Museum Time". The New Rambler. Archived from the original on March 28, 2017. Retrieved March 27, 2017. ↑ The National Museum of the American Indian: Critical Conversations. University of Nebraska Press. 2008. p. 186. ↑ "Archived copy". Archived from the original on May 5, 2018. Retrieved February 25, 2017. CS1 maint: Archived copy as title (link) To Each His Own Museum, As Identity Goes on Display, Edward Rothstein, New York Times, 2010. ↑ "Archived copy". Archived from the original on September 29, 2013. Retrieved May 20, 2013. CS1 maint: Archived copy as title (link) National Myth of the American Indian, Diana Muir, Claremont Review, March 4, 2005. ↑ Pogrebin, Robin (2008). "Kevin Gover - National Museum of the American Indian - Smithsonian". The New York Times. ISSN 0362-4331. Archived from the original on October 6, 2017. Retrieved October 5, 2017. Wikimedia Commons has media related to National Museum of the American Indian .